Help support our games - Use the link on the left to "Connect with Facebook" and comment on the races! Published by faith : Good Speed at 55 or so! Published by StormRyder : Seems the only way this filly would ever have won her maiden was to enter this one horse field, eh? Published by Skrause3 : Underdog won! Published by newbookcase : i beat a much higher overall rated horse ,my horse just loved the wet. Published by Samhamilton1 : Wohoo I love this horse!!!!! Published by blitzenmaniax : This was a histrorical day for teh stable as we had our first full quota of finalists in bit the sprint and the Mile. Both horses surpassed expectations but condideriing that Vivkys Pet was giving away 30 OR points and a lort of experience the mare who we bought for 9000 as a three day old ran her heart into the ground for nothng but glory. Published by smoggie : Valiant effort by my Bogan to come home 4th. Kudos to Delco's runner Liki Gummy, pretty much a start to finish job. Great fun! Published by ManorPark : The race that sits Tripp at the top of the epic racing tree alongside Pockets with 3 Masters. If she wins a 4th she'll take the mantle of my best ever horse for sure. Published by faith : Great Race, unfortunate, felonious scratches what should have been an even better RACE!!! Published by Pedant : Shocking win against a titan of stakes racing. Perhaps a battle of the app jockeys here. Published by smoggie : Had my heart pumping, thought I might have nicked it, and finished 3rd, great fun! Published by newbookcase : 2nd regional win for the stable. Published by AndrewStewart : that's how we lodt the championship this season. Published by catalslu : We are greatful to STABLES participated, and look foward to watching the remainder of this Season. Cauahbongah !!! Published by blitzenmaniax : Definitely the best win of my short career. Best is I called it to within one metre. Published by amalsaud : that's a speed ! Published by gm-gopher27 : Finally a world record. Published by blitzenmaniax : Tokyo Feargals Semifinal race in Class 4 Challenge at London Bridge Racecourse. Can Blitzen Maniax stable bring some kudos to Scotland ? Published by AndrewStewart : excellent finish! Published by Daania : This is our stepping stone. Published by markunowashere : Reminds me of Zenyata. His final started at the 2000 meter mark and was fastest from 2200-2400 meters. Published by TK-hairboy : Goddamit Poida!! I wuz robbed! Published by blackberry : Dead Heat.Very fun to watch!!! Published by bulldo11 : My horse Killed Ladder gets his first win. Published by Pidge : First time qualifying for a TKO final, and with one of the lower rated horses in the field! Published by magicol : A great final in the wet. Very happy with my runner Jiggy Jiggy. Will make a good miler. Published by todd : What a victory, another top class ride by the best apprentice in the game Ms Lonna Dooling. There should be an apprentice of the season award in every league/track, Lonna deserves the Gratitude. Published by Pidge : First worldwide cup victory, stable trained since he was two! Published by slams98 : Nick of time!!! Published by champ4me : A really solid win and a new track record by the youngster,Two Ta,with the rest of the field stuck in the mud! Published by Izos : My horse number 3 Yin Anda Turquoise OR 53 beats 4 Forge OR 73 and 12 Korma Ribbon OR 80. Not bad. Published by mlm2009 : First MudLark own breed ! Published by lberrios : Anthem completa su 7 carrera consecutiva y se consolida como crack del stud LBC.Su destino es la crianza. Published by wraslar : a lot of 2nd apps ... nothing can be taken for granted! Published by wraslar : I must remember to publish races more often. Published by kostor : :D! Published by fonzarelli44 : This lovely filly wins the Kentucky Derby in style! Published by Lawless : Like the come from behind stalk to win! Published by Godolphin : Thought I had this one!! Published by AndrewStewart : great finish and unexpected win! Published by ShagyaArabian : This was a amazing show of what my mare Mash ZakAttack can do. A fight right down to the wire with Sage Wildwind, Pantha Secret Sinn and my other mare Forge Eruption all within two lengths of each other at the end! Published by cjcool2001 : First Season, First Class 4 Classic. Awesome!!! Published by TK-hairboy : Loved the finish! Published by Oqaab : My first race against Doc. Published by illadelph : Just win baby win!!! Published by TK-hairboy : Oh yeah! Another League Win! Woohoo! Published by mlm2009 : con lo justo !! just just !! Published by TK-hairboy : Brilliant Race! Published by armia : 23 metr !! Published by TK-hairboy : YEAH! A win on the last race of the season! WOOOHOOO! Published by TK-hairboy : Classic league racing in Adelaide.... man this stuff is tight! Published by TK-hairboy : I thought this might be anyones race....but then... I should know by now! Published by catallslu : Heinrich hold his own in the event of an exciting perfomance Everlast Jujule. Good time for 1600m m in general. Published by Ian68 : My early sprinter makes good use of his racing style to set a new local record at Leeds Scenic. Published by TK-hairboy : Great League race! Published by n2racing : Check out the finishing kick of this winner! Wow, that's impressive. Published by autogod : Yes!!! Published by Surel : Good job, Missedent! Published by magpiez : Picked up an in race injury but still managed a strong finish to win the MM. Published by TK-hairboy : An awesome qualifier! Published by tweety : Amazing race where the winner won even though it looks like its been beaten by the horse on the outside. Final 200 a must watch. Published by TK-hairboy : Oh My God! A WIN! I haven't had one of those for so long! Published by catallslu : Our DRIFTWOOD only two years old, GREAT Expectations !!! Published by majorunderpants : New 4 Y/O World Record. Published by cheche358 : Track record for Blue Moon Marth. Great race!! Published by GM-Poida : Meat and Two Veg makes it back-to-back Blue Diamond wins for Windy Hill. Published by catallslu : Field Maradona demonstrates excellent form and great stock. Published by maleconero : Ganado por medio hocico! Win by a half a nose! Published by TK-hairboy : What a brilliant finish! Published by troublemaker : Our recently bought filly proves that it was a good call to get her, she ran like a champion! Published by GM-Poida : The Bestest romps home in the Belmont. Published by hareeba : The $1.8million purchase proves its worth by winning the Tulloch Stakes. Published by avinash : My first race, secured 3rd position. Published by GM-Poida : The Bestest scores a commanding win in the Preakness. Published by edjer54 : Another great sprint photo finish. Published by catallslu : Exciting straightaway, Leaf of Class take pole. Published by n2racing : First ever Sprinters Sheild winner! Published by hareeba : My 1st Cup with a horse that has just turned the corner at 10yo...just in time! Published by catallslu : Duke's a great guy and once again turns in a very satisfying effort on 1850 meters. Published by sterno1 : A really good race for the new 2 yr olds. Track was slow/heavy, so I didnt push my horse Ferrari, but he did great considering he is a FF. Published by redlinekai : snowey finally loses a osaka yearling race after a full season of dominance from the snow queen of tk! Published by LabMan : Bygone Era smashes the equally rated opposition by over 40m on his debut, A perfect start to his career. Published by TK-hairboy : League Racing at Adelaide *rocks*! Published by GM-Poida : The Bestest streaks the field to record Windy Hill's first Blue Diamond Stakes win. Published by jimcougar : Mulldivian's first stakes race outside of league races in 2 seasons. Published by jimbo72 : Erika Toon Perseus win in the first race ever. Published by Cabernet : Surprise win for a couple of greenhorns. 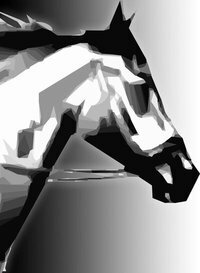 Published by DeanMik : Come join our Apprentice League for 2yo horses. A great way to give both your 2yos and your Apps some much needed experience! Decent purses on offer too ($312,000 for this one, for example). Published by catallslu : ESTBAY are just gorgeous and a treat to watch. Published by CaptUnderpants : decent race. Published by Ian68 : A shock win for my modestly rated sprinter against two higher rated opponents saw me sneak up to third on the final day of the season. Published by ManorPark : Got to love the mudlarks! Published by dipstick : Great race for my mare who, at a lower rating and XP, managed to win and help secure 2nd in the league! Published by TK-hairboy Dammit! I shoulda won this one! Published by Oqaab : My horse winning OC for me for the first time in TK. Published by mnbluepits : Checked my stable today Seams my horse set a record on this track so it says but cant find it Wed 09th Mar, 17:27 - Loss Jazzman Three set a track record in a race. Published by edjer54 : one of my all time favorites.great jockey for this horse. Published by ersins : nice.. Published by kostor : brillinat finish of Hipoliner. Pity that the horse had some injuries after that race, but he's still powerfull player in the field. Published by hareeba : 5yo Red Bull winning a C1 League race. Published by hareeba : 10yo Findlan Driver beating 6yo Jobim in its final career race. Wonderful run from the sire of Enter The Tiger. Published by patrik702 : An oldie but a goodie! Published by gm-gopher27 : The great dorothy winning a sprint shield.